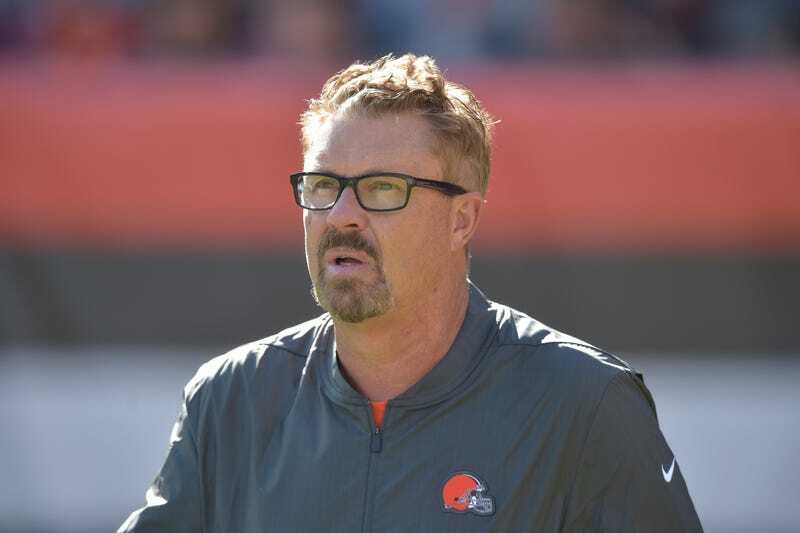 Browns defensive coordinator and interim head coach Gregg Williams, who preserved his job and earned a promotion simply by being the least bad of Cleveland’s three senior coaches, wants you to know he doesn’t have to be here. Other teams have been falling over themselves to hire Gregg Williams, best known for a 17-31 head coaching record a decade and a half ago, and for being suspended an entire year for a leadership role in the Saints’ bounty scandal. Gregg Williams doesn’t even need to interview to have his choice of head coaching jobs, says Gregg Williams. It was unclear at the time if he was joking. So ESPN’s Pat McManamon followed up with Williams today, and he was not joking. Gregg Williams is sorry for the awkward position in which he’s put all those other coaches who don’t receive on-the-spot job offers every other week, like Gregg Williams does, and he’s sorry to those teams who made him offers, who might not have wanted the world to now know they weren’t good enough for Gregg Williams. To be fair, at no point has Williams specified that these weren’t high school coaching offers.